Esprit Photographie: Happy Birthday Sammy! Wow. I've been following this little man since he was in his mama's tummy! 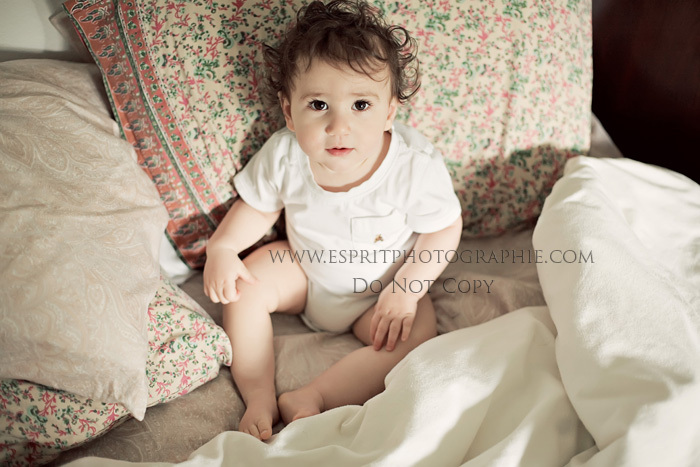 Then I got to do his newborn session....and now, his first birthday. I didn't know it was possible to get cuter and cuter, but somehow Sammy does just that! I love his toothy grin, chubbawubba thighs and his "who, me?" expressions. Man, I just love this kid and his whole family. (and couldn't resist throwing in one pic of his beautiful big sister...). Lots of love to you, L family, and Mazel Tov on Sammy's first year. He's quite a kid! Well done, Robin. The processing is so silky! love these robin!!! he is such a sweetheart! they will treasure these forever! Wow Robin these are just stunning! I just adore the picture of the baby laughing. And how beautiful are the eyes on that little girl??? I hope they get that one blown up huge for their wall! He is so handsome and these are just amazing! Beautiful pictures of little Sammy. Couldn't figure out how to post a comment! I had to call Leah to walk me through it!! Amazing pictures. Sam looks like an angel! The camera doesn't lie! LOVE THESE PICTURES!! thanks for sharing these. i really like the one where he is covering his mouth and laughing. makes me want to do something like this for my little guy. Oh my, that first one just grabs you!! Superb! !